Hello, my name is Kristina and I really like sugar. You know….candy..chocolate….sweet things in general really. My struggle has always been: How to STOP Eating Sugar SO MUCH! Diabetes runs in my family and I know that if I don’t make major life changes, I will end up in that boat! For some reason I have the worst cravings for unhealthy sweets right after I finish a meal. Sometimes it feels too strong to ignore. Which is why I tell myself “Sure! You can have whatever you like….As soon as you accomplish those 3 things.” If I simply wait, (as well as drink some water) I am usually fine. If not, a few grapes or an apple seems to do the trick. 2. Exercise. This works amazing for me. I tell myself “Yes, I am totally having ice cream today. But after I go for a run.” The great thing is that exercise makes me crave healthier things, so after I get home I very rarely reach for unhealthy sweets. And even if I do, it’s okay because I just gave my body a healthy dose of exercise. 3. Have Some Healthy Alternatives Handy. I believe in the 80-20 rule. I try to eat mostly healthy, and then I indulge in something great on the weekends. Again, I don’t restrict myself on the weekdays (because then I will only want it more), but I am much more strict about following all of the above suggestions FIRST if it’s a weekday. If it’s a weekend, I relax a little. If it’s a weekday and I STILL seem to be having strong cravings, there are two things that have helped me a TON! First of all, you never want to substitute sugar for artificial sweeteners! They are just as bad (and often worse) for your body. Which is why I highly recommend things sweetened with xylitol. Xylitol is a low glycemic sweetener that is actually beneficial to dental health in reducing cavities and has no known toxicity to humans! I first heard about it from my dentist. If I’m having a really bad craving, I will chew a piece of xylitol gum (again avoiding gums with artificial sweeteners), or I will eat some of my xylitol candies (called Ice Chips. Surprisingly very good). This almost always curbs my sweet tooth and has helped me stop eating sugar so much! If you’re interested in learning what sugar really does to your body, especially your pancreas, then you should definitely take a look at this article by Positive Health Wellness. It goes more in depth on why you get addicted to sugar, the dangers of it, what the withdrawal symptoms are, and some excellent ways to help combat it. Your turn! 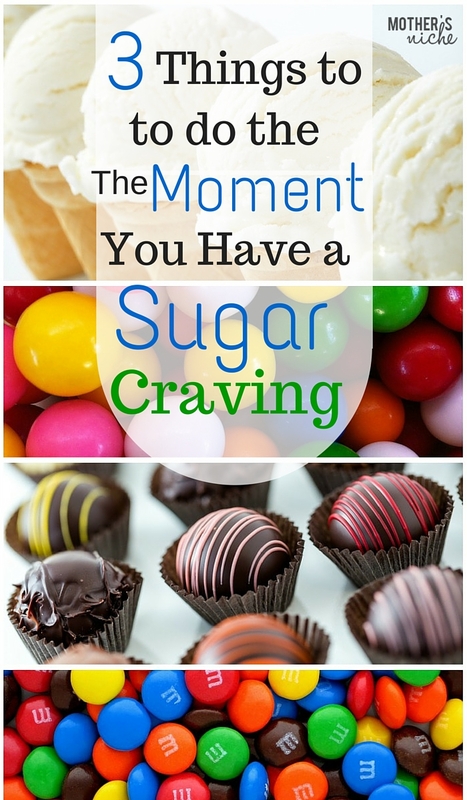 What to YOU do to stop eating sugar so much and put your sugar cravings under control?